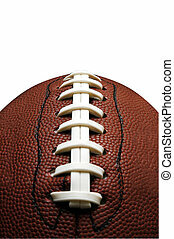 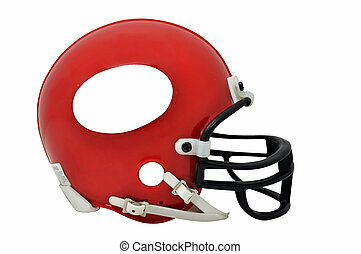 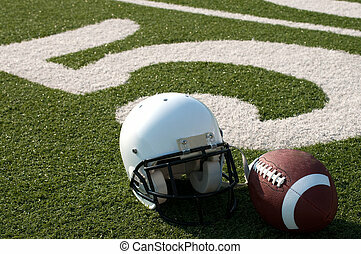 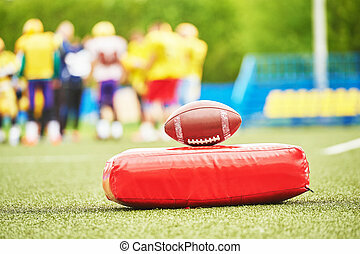 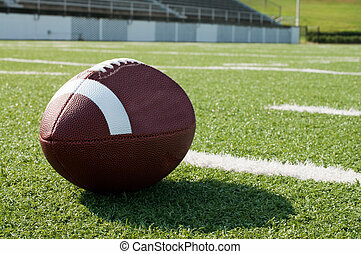 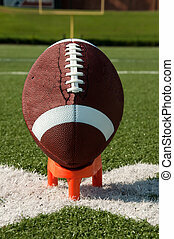 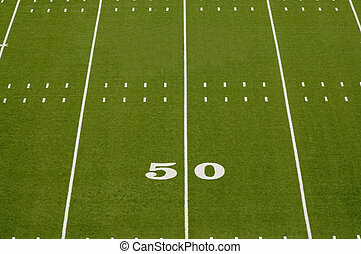 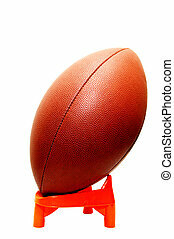 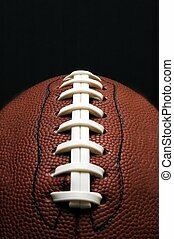 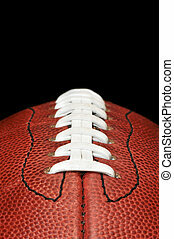 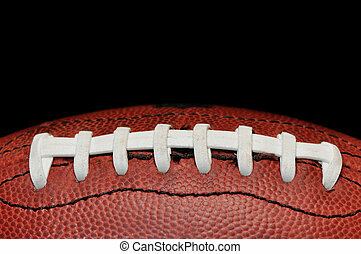 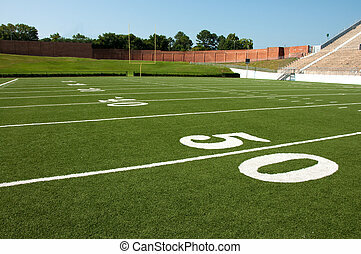 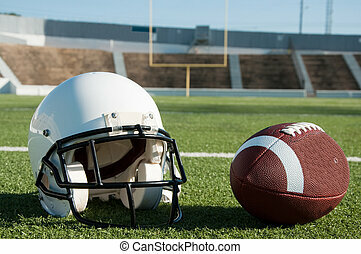 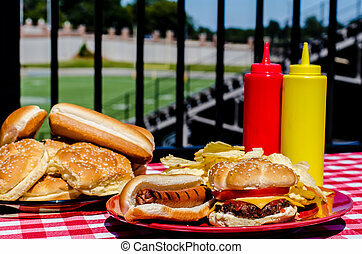 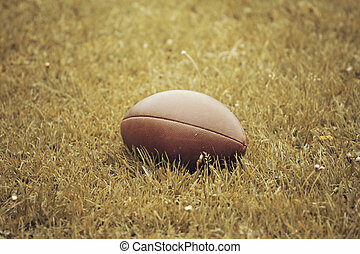 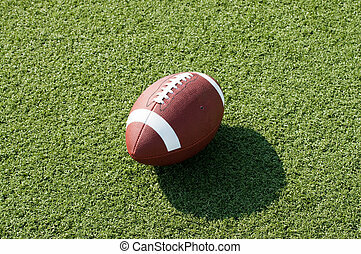 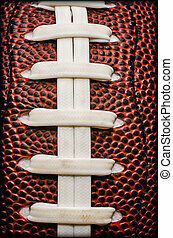 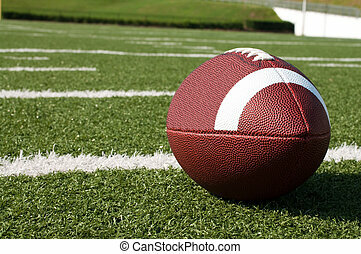 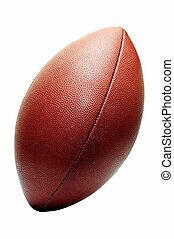 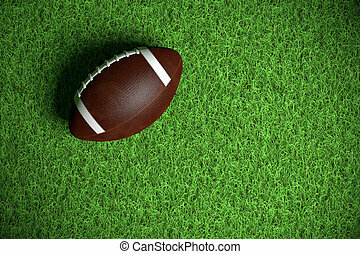 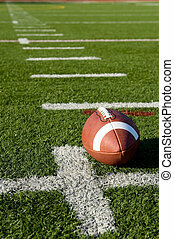 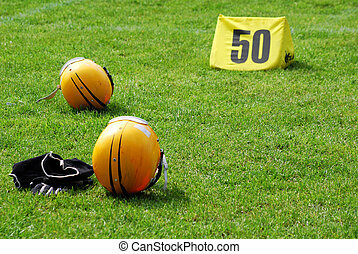 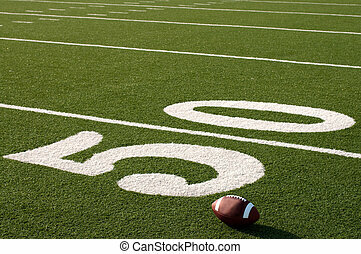 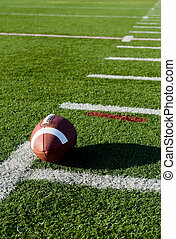 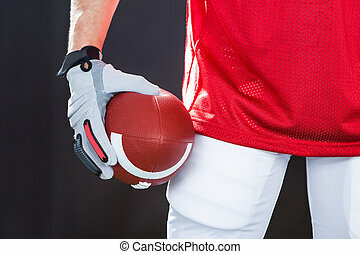 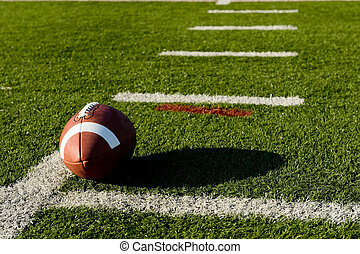 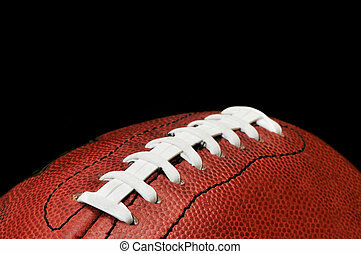 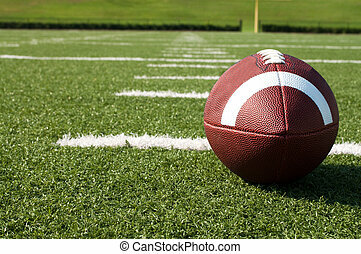 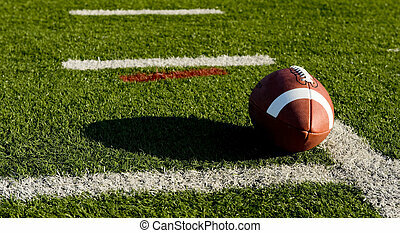 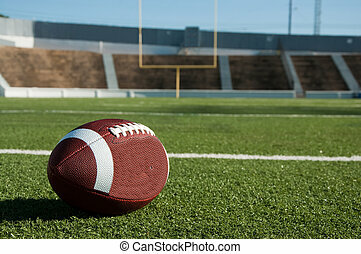 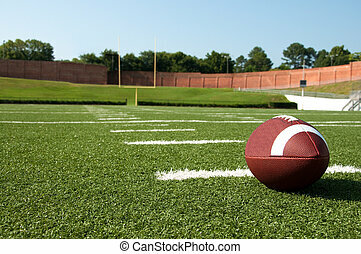 American football equipment on field. 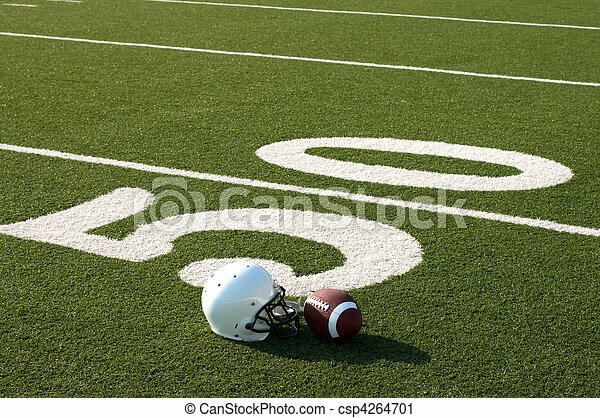 American football and helmet on field next to 50 yard line. 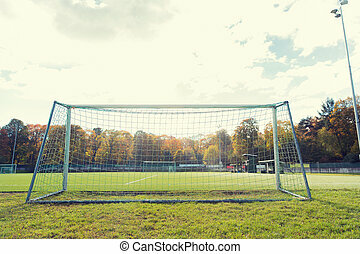 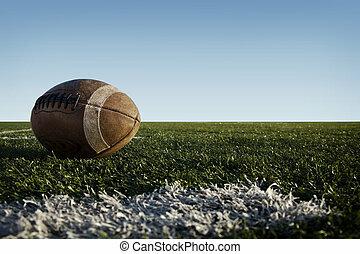 Football laying on a field with blue sky. 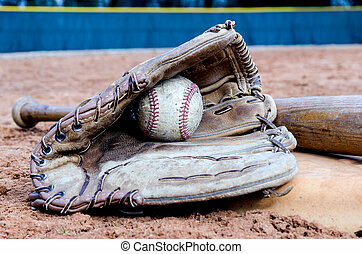 Baseball bat, glove, and ball on base on field. 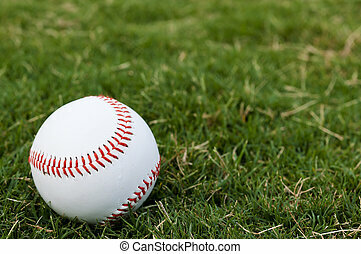 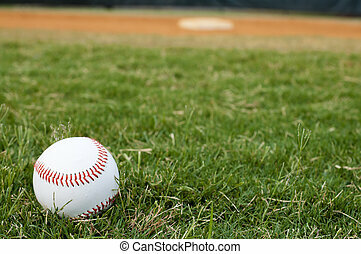 Closeup of baseball on grass with copy space. 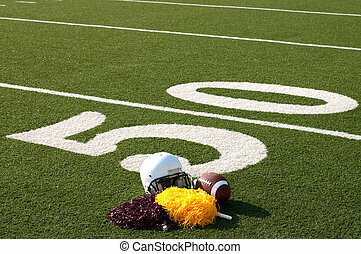 American football, helmet, and pom poms on field next to 50 yard line. 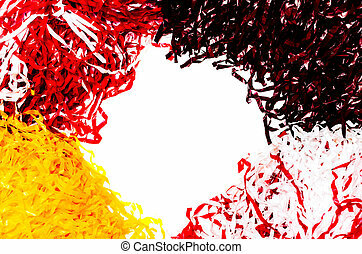 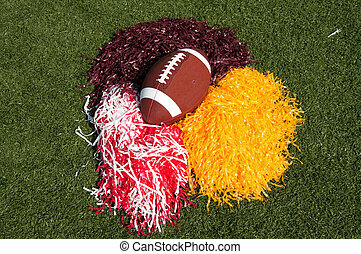 American football and pom poms on field. 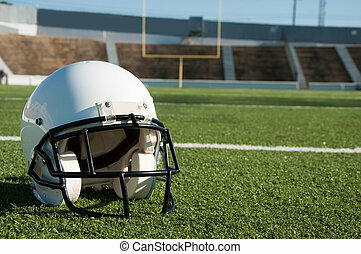 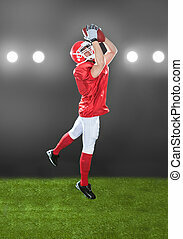 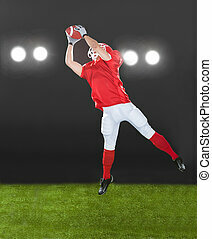 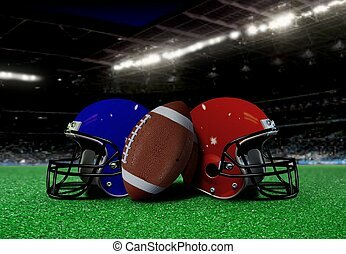 American football and helmet on field with goal post in background. 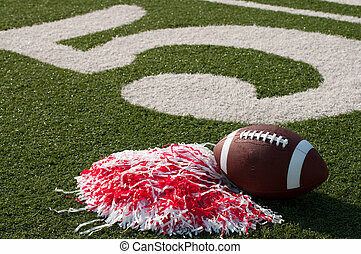 American football and pom poms on field next to 50 yard line.